Playing Experience: Cesar started playing soccer at a very young age in Mexico City. At age 11 he arrived to the United States and tried out for a team that was sponsored by a professional Mexican soccer team(PUMAS). He played with this team for 5 years and got the opportunity to go to many international tournaments and go the National Cup where they ended up in 2nd place. Cesar also played for El Monte High School, 2 years for Rio Hondo College, and 2 years for Cal Poly Pomona. After college he went on to play semi professional soccer for Chivas USA (USISL) where he got to play against the US National Team and against many professional Mexican soccer teams. 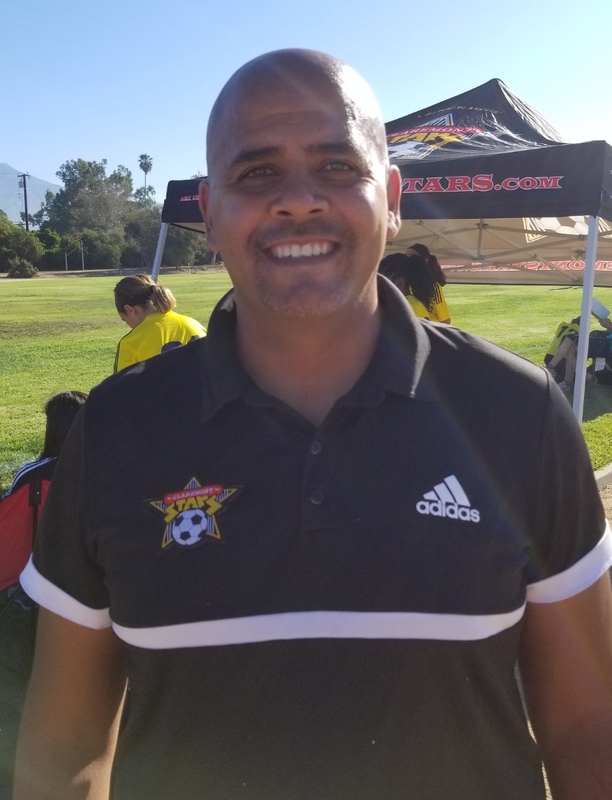 Coaching Experience: Cesar’s coaching experience began right after High School where he was given the opportunity to coach the JV soccer team for his former High School and then moved on to coach the Varsity team for 3 years. A few years later he began coaching for AYSO and also for a Christian league. Cesar holds a USSF “F” license. Coaching Philosophy: My goal is to create a positive environment where players feel happy to come to practice and to the games. As a coach and as an educator I really believe that it is very important to provide kids with all the necessary tools in order to improve their skills and in order to become a productive, respectful, and responsible person in life. Coaching soccer is my passion and I will make sure to use all my experience as a former player, as a coach, and as an educator to create a positive environment where kids have lots of fun as they are learning about the sport of soccer.